Seeing, of course, is also an A. NOTE: In the essay A. and Pangeometry El Lissitzky analyses the changing role of perspective in art and introduces axonometric projection (or parallel perspective) as a new means to represent and perceive space. 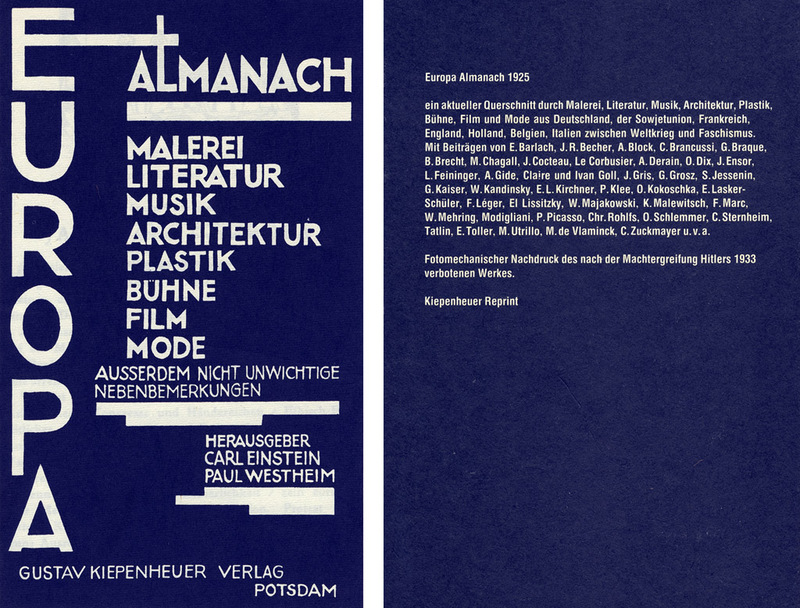 It was first published in German in Europa-Almanach, (Carl Einstein and Paul Westheim, Kiepenheuer Verlag, Potsdam, 1925, p.103-113) and was reprinted in 1984. This English translation was published in the book El Lissitzky. Life – Letters – Texts, Lissitzky-Küppers, Thames & Hudson, London, 1992 (out of print). In the period between 1918 and 1921, a lot of old rubbish was destroyed. In Russia we also dragged A.  off its sacred throne ‘and spat on its altar’ (Malevich 1915). At the first Dada-event in Zurich, A. was defined as a ‘magic excrement’ and man as the ‘measure of all tailors’ (Arp). Now after five years (five centuries in the old chronology) in Germany for example, Grosz brings only one reproach upon himself: ‘our only fault was that we ever took the so-called A. at all seriously’. But a few lines further on he writes: ‘Whether my work is therefore called A. depends on the question of whether one believes that the future belongs to the working classes’. I am convinced that it does, but neither this conviction nor the excrement and the tailors are universal criteria for A. A. is a graduated glass. Every era pours in a certain quantity: for example, one puts 5 cm. of Coty perfume, to titillate the nostrils of fashionable society: another throws 10 cm. of sulphuric acid into the face of the ruling class; yet another pours in 15 cm. of some kind of metallic solution which afterwards flares up as a new source of light. So A. is an invention of our spirit, a complex whole, combining the rational with the imaginary, the physical with the mathematical, √1 with √-1. The series of analogies which I am going to bring to your attention is put forward not to prove – for the works themselves are there for that – but to clarify my views. The parallels between A. and mathematics must be drawn very carefully, for every time they overlap it is fatal for A.